Welcome to Agatha Crocodile Ranch. We are situated on a picturesque avocado farm in the Limpopo Province, about 1 hours 30 mins from Sunbird Lodge and we offer family entertainment at affordable rates! 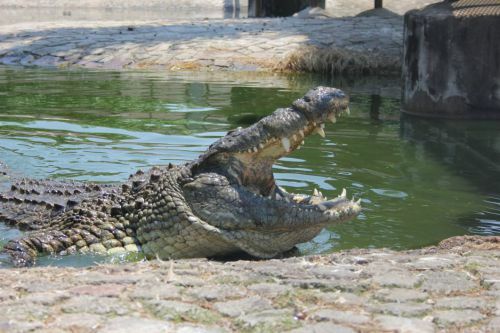 We offer adventurous daily tours through the ranch, an opportunity to touch a baby crocodile and also to feed the bigger crocodiles, a curio shop and a local art gallery. Agatha Crocodile Ranch is a MUST see! It would greatly enhance any tourist experience of South Africa to visit the ranch and encounter one of Africa’s greatest predators.